Chlamydia pneumoniae is now recognized as an important human pathogen. Chlamydia pneumoniae is involved in 5%-15% of community acquired pneumonias, and recent data indicate its relevance in severe pneumonia and as a respiratory pathogen in immunocompromised subjects. A causal role for Chlamydia pneumoniae in the initiation, exacerbations and promotion of asthma has been suggested. Approximately 5% of chronic bronchitis exacerbations have been attributed to Chlamydia pneumoniae infections, and chronic infection may facilitate access of other pathogens to the lower respiratory tract. Another field of potential great social impact is the possible involvement of Chlamydia pneumoniae in the pathogenesis of atherosclerosis and related cardiovascular diseases. 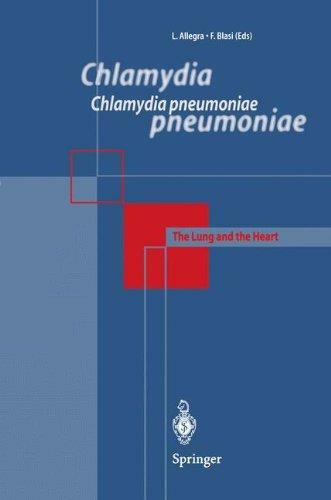 This book presents the current state-of-the-art knowledge on Chlamydia pneumoniae infection and highlights future lines of research.